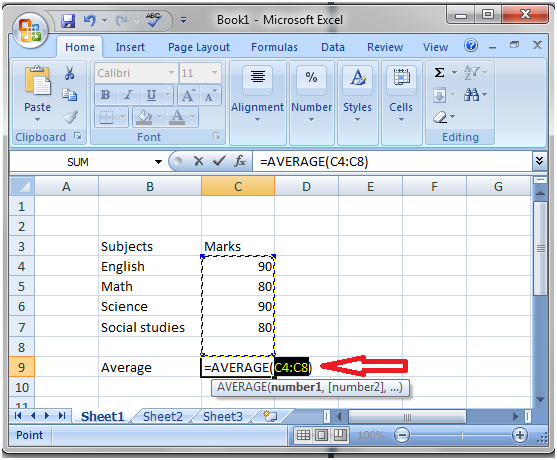 Select the cell to display the result. In the Home tab click on the small arrow next to the Sigma button and left click on the Average option. You will see the image shown below. Then press the Enter key to get the result.